2019 PINK BOOTS SOCIETY COLLABORATION BREW! Join us as we release this special Brut IPA with great food and live music! Join us on International Women’s Day as we celebrate the release of this year’s Pink Boots Collaboration Brew! 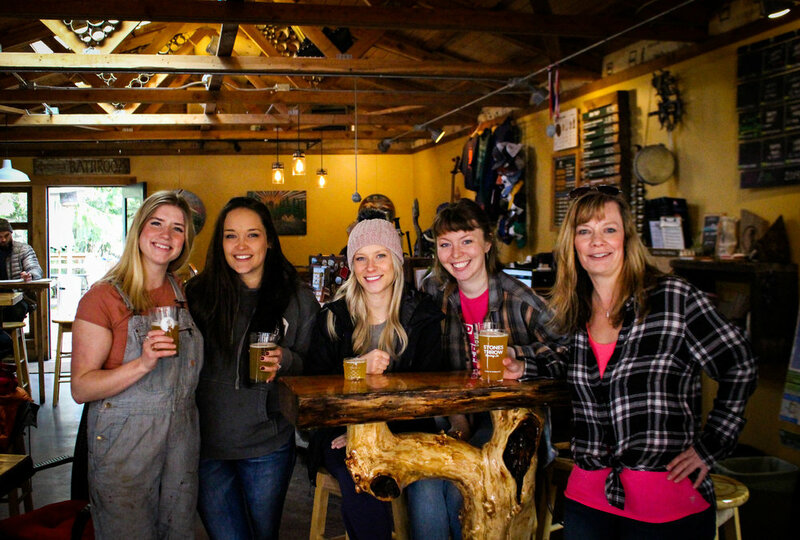 Brewed every year here in the Stones Throw brewery by local women in the Bellingham and Northwest Washington craft beer community, a portion of every of every pint and keg sold is donated back to the Pink Boots Society for their nonprofit work supporting women and education in the craft beer industry. We will have musician Brittany Collins playing at 7pm and Anna Poutous’ plant-based food truck New Public Food Truck serving food from 4-9pm. A double batch crafted over a two-day brew session using the hop combination chosen by the Pink Boots Society, this Brut IPA will have a light body and dry finish with floral, citrus, and tropical notes in the flavor. A big THANK YOU to Skagit Valley Malting for generously donating the pilsner malt for this special brew! A HUGE SHOUTOUT to the Pink Boots Society - Bellingham! Participating in the 2019 Pink Boots Brew was Robin Crandall, Emily Fenske, Holly England, Meagan Walker, Jenn Tadder, Jessica Fox, Stephanie Artino, Emily Baker, Jenn Knutzen, Angela Loomis, Layne Carter, Taylor La Chance, Aida Miller, Jessica Neel, and Shannon Vincent, as well as plenty of others who helped make the brew possible.